Looking out over the 63-acre property that will house the 2016 NW Natural Street of Dreams this summer, Gordon Root points to a snow-capped Mount Hood off in the distance. 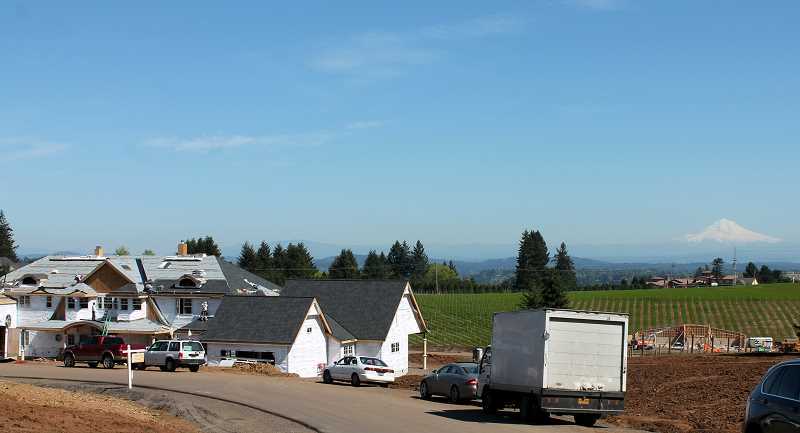 Root is joking, of course; as it happens, a pristine view of the mountain is just one of many selling points for the five luxury homes being built on property just south of West Linn city limits. The development is called Tumwater at Petes Mountain. The 41st annual NW Natural Street of Dreams event is set to run from July 30 to Aug. 28 this summer, and a visit to the property reveals a set of massive luxury homes  each priced between $3 million and $5 million  beginning to take shape. Open to the public, Street of Dreams allows attendees to visit the property and tour what is thought to be the cream of the crop in home design. Roots Stafford Land Company is the lead property developer for the 2016 Street of Dreams. The property at the corner of Petes Mountain Road and Schaeffer Road, was selected two years ago when Street of Dreams identified Lake Oswego as the home for the 2015 event. Root says he has been intimately involved with Street of Dreams since 1992, when he developed another Street of Dreams at Remington Ridge in West Linn. In his eyes, Tumwater at Petes Mountain was tailor-made for Street of Dreams development. Beyond the five luxury homes  one of which is to be occupied by Root himself  the site also boasts a 23-acre vineyard that will be used to support Tumwater Reserve Wines. The vineyard is a mix of pinot noir and three acres of chardonnay, Root says. Included in the development plan is a barrel house, which will house a wine tasting room open to residents between noon and 5 p.m. on Sundays. During Street of Dreams, the barrel house will serve as a ticket office. The homes themselves range between about 6,000 and 8,000 square feet, each built in different styles ranging from traditional Northwest to Hamptons style, Northwest contemporary and rustic Italian. While several lots have already been sold, Root said two remain available for purchase. One of the homes  at 7,500 square feet and $3.8 million  boasts massive 14-foot doors that open directly out to a view of the vineyard and Mount Hood. Root, for his part, designed his own home at 8,200 square feet, inclusive of a 1,260 square foot carriage house intended for his mother and father-in-law. Root added that the site actually boasts views of three mountains: Mount Hood, Mount Adams and Mount St. Helens. Its truly a site befitting of Street of Dreams, Root said. 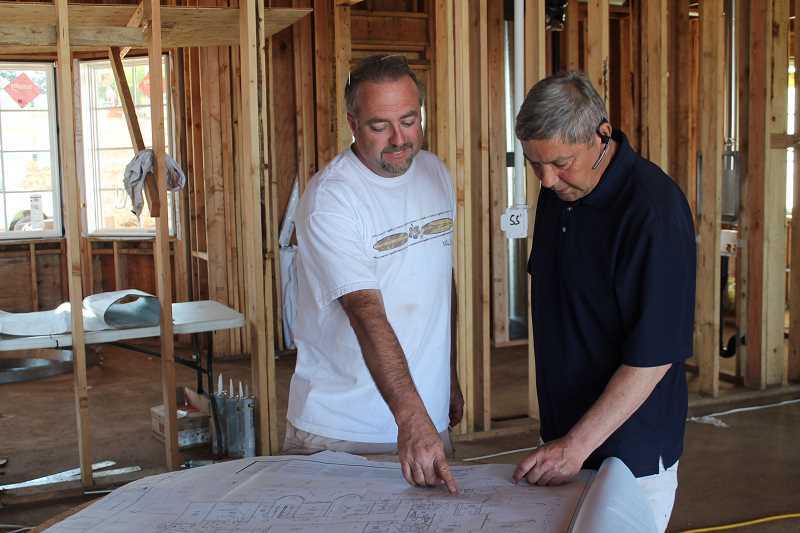 Proceeds from Street of Dreams will go to the Home Builders Foundation, which works to develop shelters for those in need while also funding scholarships for prospective home builders. Before the official start date of July 30, Street of Dreams will host a "block party" July 27. Online registration is available at homebuildersportlandorassoc.weblinkconnect.com/events. Root says about 1,600 are expected to attend.